The hotel takes full advantage of its beautiful maritime position with many rooms and public areas having fantastic sea views. A swimming pool complex, a south facing reading room and a licensed bar exclusively opened to residents create a really comfortable holiday setting. The Fort d'Auvergne is on St. Helier's town outskirts, with easy access to shops, attractions and entertainment. 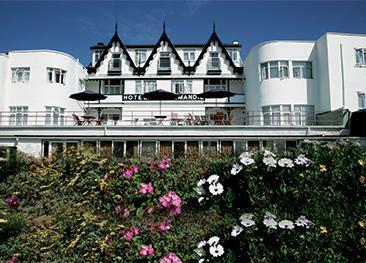 The hotel features a selection of standard, sea and beach view rooms. Some rooms feature a balcony. The accommodation at the Fort d'Auvregne is traditional but offers all the required modern amenities. A daily changing table d’hôte evening menu with a vegetarian option is served in the air-conditioned restaurant room. A full breakfast buffet is available every morning. For guests only, the Promenade Bar is sea facing and stays open all day for coffees or drinks. The swimming pool complex and sun terrace are welcome features for a town hotel. In the summer the hotel provides some evening entertainment. There is no specific disabled access but a lift to most rooms is available. The residential area around The Fort d’Auvergne was built in the Victorian era as a seaside resort. Known as Havre des Pas, this is a part of town full of charm with some classic architecture to take you back in time. You can access the Promenade straight from the hotel. Good value for money, but a tad tired. A comfortable 3 star hotel - some disappointed that although we paid for a sea view we were actually given a room that provided a partial view only! GREAT LOCATION,FRIENDLY STAFF,ROOM IMMACULATE-SEA VIEW AND PATIO (BRILLIANT) DELICIOUS PLENTIFUL MEALS LOVELY INDOOR POOL WHAT'S NOT TO LIKE - WOULD HIGHLY RECOMMEND A GOOD VALUE CLEAN HOTEL. Great hotel. Excellent friendly service. Room small and bathroom needed updating, but very clean, very friendly and helpful staff. No air conditioning in the room which we liked, used the window to regulate temperature. Excellent hotel, nice clean bedroom, serviced daily with good TV and radio facilities. Breakfast very good with choice of both cooked and continental including fruit, ham, cheese etc. They even had marmite! The hotel was good, but could have done with air conditioning as rooms were very warm. We also felt there should have been a holiday rep or at least an information board. The hotel was spotlessly clean, food was lovely but their jewel in the crown are the staff. Nothing is too much trouble and they are a brilliant team - everybody including the reception staff, the staff in the restaurant/bar and the cleaning staff made our stay very memorable. 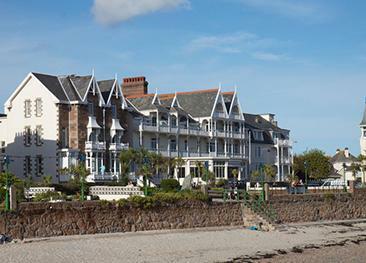 The Hotel Ambassadeur is a popular hotel opposite St. Clement's beach on Jersey's south coast. 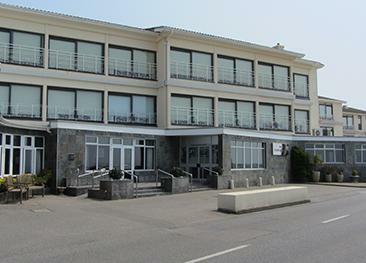 The Hotel de Normandie is a classic seafront hotel offering fantastic value in a convenient location, close to the town amenities as well as south coast beaches.